BUNNIK, Netherlands — The missile used to shoot down a Malaysia Airlines passenger jet over eastern Ukraine in 2014, killing all 298 aboard, belonged to a Russia-based military unit, an international team of investigators said Thursday after painstakingly studying video and photos of a military convoy. 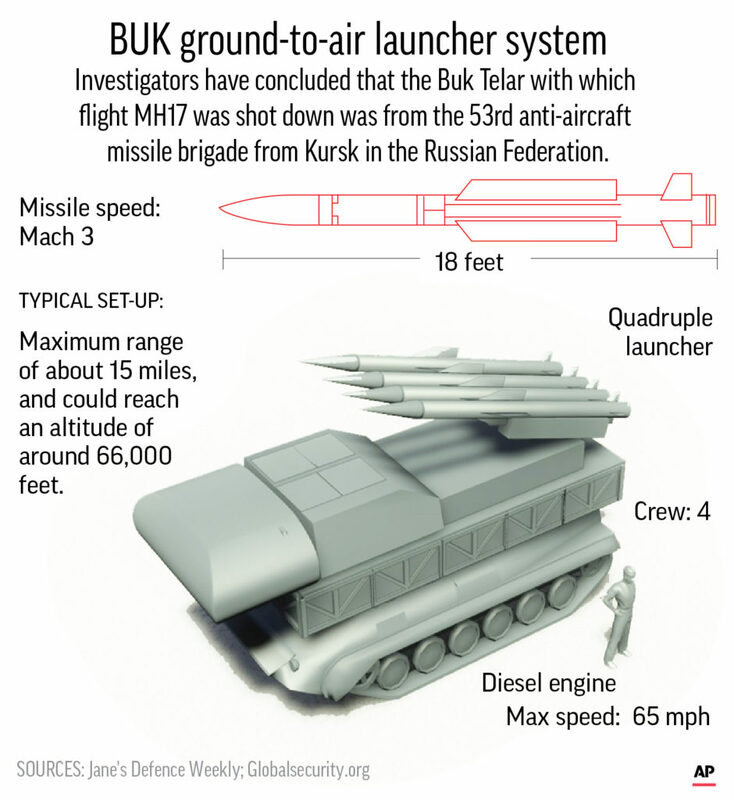 Investigators: Russian missile system downed Flight MH17. The international team running the criminal investigation appealed for help from witnesses who can testify about the involvement of the Russian military’s 53rd anti-aircraft missile brigade.